When you're Scroll down on the HTML document, you'll see the tag all the time left to the right. It will appear in such a way that it looks like a paragraph to see the paragraph, like a table to look at the table. 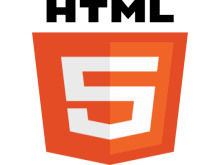 With HTML tags, you can send your favorite messages to the web page. You application title will be here. The main content of you program will here. Specifies the text larger than usual. Indicates text smaller than usual. Special quotes are used to express. Display the real computer code to user. To create a Table row. Header tag is up to 1-6. 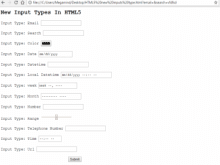 Form input field is used to create. Order is used to create a catalog. Unorders are used to create lists. Teletype refers to the text. See the <body> tag in the image above <p> tag, so displaying the paragraph size text in the display. 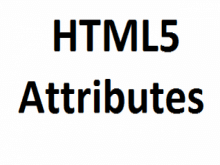 Keep in mind that all the tags that we do with html will remain in the middle of it. The tag should be the lowercase letter of the tag. There are some tags that do not need to be closing tag. They do not contain an element. The tag is the line break tag and it is expressed as <br/>. Which are used in particular. This means that the tag is used to start writing from the other line without writing a line. After seeing the picture, what is the tag of any tag? Now open the notpad and tag the tags properly, change the way you want to open the browser and see whether there is any problem or not. Once all the code is written, click on the file and save as file as index.html, save it to Desktop, then open it in any browser.